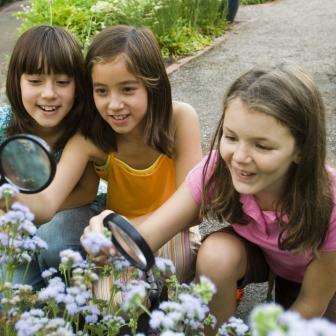 Garden Camps offer kids the perfect opportunity to dig into the world of plants, science and nature for a week. This year’s camps offer opportunities to go behind the scenes and meet the professionals, design and plant a garden, travel back in time and experience life on a working farm, explore trees and forests from around the world and so much more. Whether your child is a budding scientist, a gardener, a chef, an artist, an explorer or an adventurer, every camp offers something right up their alley and will open their eyes to new experiences. Diary of a Worm Mini-Camp – Investigate the life of a worm. February 21. 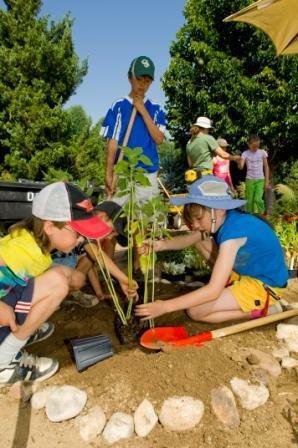 Pines, Ponds and Penstemons Spring Break Camp - Spend an entire week exploring, playing and working in the Mordecai Children’s Garden learning its secrets inside and out. March 28-April 1. Junior Master Gardeners – Learn what it takes to grow and maintain a garden as you design and construct the crazy plant garden in the Mordecai Children’s Garden. June 20-24. Budding Botanists – Spent a week in the boots of a botanist as you get a behind-the-scenes look at the kinds of things a botanist might do. June 27-July 1 or July 18-22. 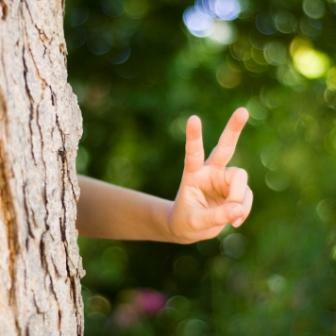 Tree-mendous Travels – Get lost in the forests of Denver Botanic Gardens, following clues to uncover the secret mysteries of trees. July 11-15 or August 1-5. Deer Creek Discovery: From Plant to Plate - Travel back in time for a week to experience life on the Hildebrand Ranch. Do your part to help out on the farm by feeding the animals and maintaining the garden. This camp takes place at Denver Botanic Gardens at Chatfield. July 18-22 or July 25-29. No Place Like Home Mini-Camp – Build a roof over your head as you explore how native people have used plants to build a variety of different homes. September 19. It’s a Bugs Life Mini-Camp – Spend a day looking through the eyes of a bug. October 28. Strange and Unusual Plants Mini-Camp – Spend Halloween exploring a variety of strange and unusual plants. October 31. For complete descriptions of all camps, please visit our website. Garden Camps cost $229 for members and $249 for nonmembers. Before and after care is available during summer camps for an additional fee. Scholarships are available, call 720-865-3580 for details. Registration is now open for Diary of a Worm and Pines, Ponds and Penstemons. Registration for all others begins March 1 for General/Family Members and up, March 8 for all others. Register online or by calling 720-865-3580.